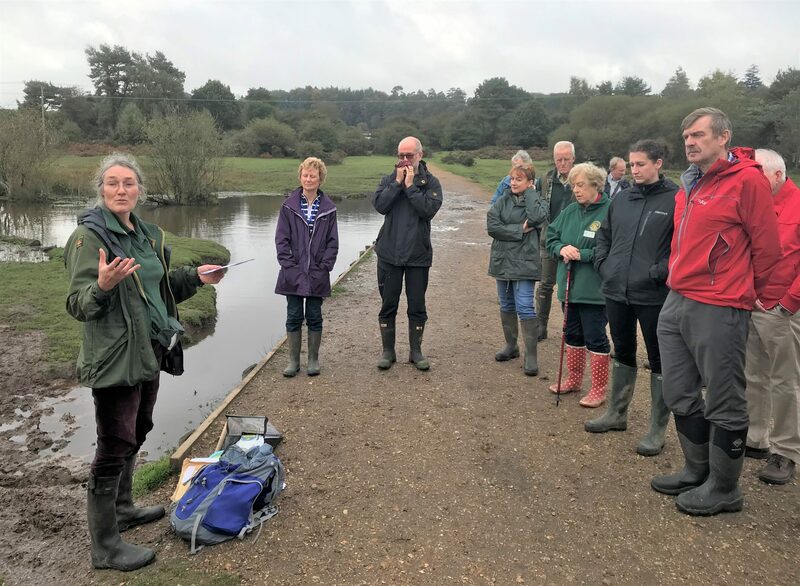 The Friends of the New Forest recently hosted a three-day national conference at Balmer Lawn Hotel, Brockenhurst, which was attended by representatives from the other twelve National Park Societies in England and Wales. These Societies are charities which act as ‘critical friends’ to each government National Park Authority, and are the voice for their National Park – its friend and watchdog. Also in attendance were representatives from the Campaign for National Parks, National Parks England and local organisations including the Verderers of the New Forest. After long journeys from the far corners of England and Wales, delegates met up over an excellent dinner after which Head Agister Jonathan Gerrelli and local photographer Barry Whitcher entertained them with a sparkling illustrated explanation of the role of the New Forest Commoners and the work of the Agisters including organising the annual Drifts to round up ponies. 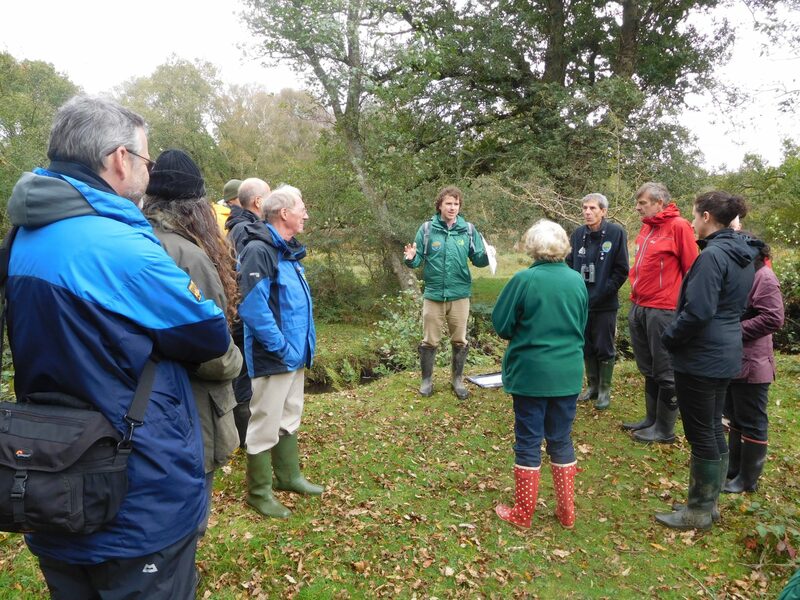 The following morning was devoted to presentations on the history of the Friends of the New Forest, and the multi-agency ‘Our Past, Our Future’ Landscape Partnership, which is undertaking 21 projects to restore lost habitats, develop Forest skills and inspire a new generation to champion and care for the New Forest. Then delegates heard about the role of ‘Go New Forest’ in delivering marketing and promotional support for the New Forest destination and of New Forest Marque, whose accreditation scheme exists to develop and promote the production, processing and distribution of local produce from the New Forest. Finally there was a session about communicating your organisation’s aims in a ‘post-truth’ society. The delegates then stretched their legs and continued to learn on one of two study tours: a Forest walk to learn about combatting non-native species and stream restoration, and a boat trip to Hurst Castle followed by a sea wall walk to hear about climate change and its impact on the New Forest coast. Returning wind-blown and in some cases muddy, delegates had time to meet up and chat about their matters of mutual interest, with Brexit looming over all. Following another good dinner, they were entertained by a talk from Woodgreen artist Pete Gilbert who managed to tell them his exciting life story while producing a painting of a New Forest scene before their eyes. The final morning involved further presentations on the New Forest Trust, Forest Design Plan, and the work and concerns of the Commoners Defence Association before Bruce Rothnie, Deputy Surveyor, tackled the thorny issue of recreation management and its relationship to the primary purpose of conserving and enhancing natural beauty, wildlife and cultural heritage. Alison Barnes from the New Forest National Park Authority gave an overview of current challenges; and finally Fiona Howie, Chief Executive of the national organisation Campaign for National Parks, summarised the many current problems being faced by National Parks, including the uncertain future for their farming and commoning communities, and the important role that their ‘critical friends’, the National Park Societies, have to play. Delegates then set off to return to their homes as far away as Dartmoor, the Lake District, the North York Moors and the Broads, to name but a few. Error: Error validating access token: Session has expired on Sunday, 10-Mar-19 01:16:56 PST. The current time is Wednesday, 24-Apr-19 23:13:37 PDT.